After a grueling 15-year long battle, the Texas Medical Board has officially ended its crusade to revoke Dr. Stanislaw Burzynski’s medical licence in an effort to stop him developing and using his antineoplastons, as well as his combination gene-targeted therapy, for cancer. The Texas Medical Board’s case against him was dismissed on November 19, 2012. Burzynski has been treating patients with antineoplastons for over 30 years. In 1982, Dr. Richard Crout, Director of the FDA Bureau of Drugs, wrote: "I never have and never will approve a new drug to an individual, but only to a large pharmaceutical firm with unlimited finances." Burzynski then fought and won a long legal battle with the FDA and it was next revealed that the FDA had pressured the Texas medical board to revoke Dr. Burzynski’s medical license. Dr. Burzynski received extensive publicity two years ago with the release of Burzynski – the movie, a documentary about Dr. Burzynski’s cancer discovery, and how he won his legal battle with theFDA in America. This year, a second film is scheduled to be released. To quote Dr Mercola: The treatment developed involves a gene-targeted approach using peptides and amino acids, known as antineoplastons. His strategy now includes studying the patient’s entire cancerous genome; analyzing some 24,000 genes in each cancer patient, in order to identify the abnormal genes. Once they’ve determined which genes are involved in the cancer, drugs and supplements are identified to target those genes. Antineoplastons work on approximately 100 cancer-causing genes, and antineoplastons are claimed to be non-toxic. Antineoplastons are peptides and derivatives of amino acids that act as molecular switches. However, as genome research blossomed and science progressed, Dr. Burzynski discovered that antineoplastons also work as genetic switches. They turn off the oncogenes that cause cancer, and turn on or activate tumor suppressor genes — genes that fight cancer. The antineoplastons were obtained from blood and urine, but they’ve been synthetic antineoplastons since 1980. Burzynski — The Movie features several case stories of people who were successfully cured of cancer, and reveals for example clinical trial data of conventional therapies versus antineoplastons in Phase II FDA-sanctioned clinical trials for a type of brain cancer called Anaplastic Astrocytoma, Grade III. In November of 1995, the US Patent office approved the first US Government patent for antineoplastons. In August of 2012, America’s National Cancer Institute started to cite some of Burzynski’s peer-reviewed Antineoplaston studies, as well as Japan’s studies who have been independently reproducing Antineoplaston clinical trials studies since the 1980’s. The National Cancer Institute even records: "A Phase II study also conducted by the developer and his associates at his clinic reported on 12 patients with recurrent diffuse intrinsic brainstem glioma. Of the ten patients who were evaluable, two achieved complete tumor response, three had partial tumor response, three had stable disease, and two had progressive disease." While Burzynski is public enemy number 1 to the twaddle-talking Skeptic fringe community, the fact is that a brainstem glioma has simply never been cured before in the history of medicine. 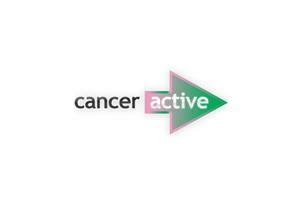 We have two articles on the CANCERactive website.